​West Ham have responded to claims that Marko Arnautovic wants to leave the club by releasing a sternly worded statement insisting he is not for sale. The 28-year-old has reportedly been unsettled at the London Stadium by reported interest in China, with Shanghai SIPG believed to be the club behind a £35m offer. The Hammers have absolutely no interest in selling their prized asset, despite Arnautovic's brother telling ​talkSPORT that the Austrian wants to leave the club in order to further his ambitions and challenge for titles. In response, the club issued a short and rather blunt ​tweet insisting that they expect Arnautovic to honour the contract he has with the club. 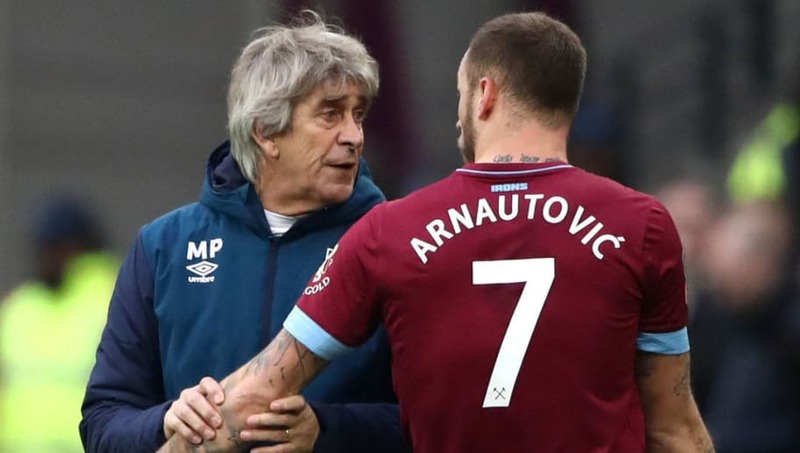 Earlier in the day, manager Manuel Pellegrini played down rumours of an exit for Arnautovic - stating in his pre-match press conference before the weekend game against Arsenal that rumours of an exit are wide of the mark. As quoted by ​West Ham's official website, Pellegrini said: "They are rumours. We know Marko is a very good player so maybe a lot of clubs will want him to play for their team but at the moment he is a West Ham player and we want to keep him. "I think Marko and all the other players involved in rumours have their heads here and want to continue playing the way they are doing so far. I am sure his head will be in the game against Arsenal and it will not affect his performance." Arnautovic has been in fine form for West Ham this season, scoring seven Premier League goals and leading the line with great energy and panache. His performances have helped West Ham drag themselves into contention for a seventh place finish, despite a couple of injury niggles disrupting his campaign. Overall, he has been a revelation at the club since his arrival from Stoke in the summer of 2017 for a fee of around £20m - seamlessly transitioning from a left-winger to become the club's talismanic striker.